This entry was posted on Tuesday, July 26th, 2016 at 3:21 pm. Of course I’m biased because it’s all I’ve ever known, but the country life is the best life, the simple life. The only way to live! My husband grew up outside of Washington, DC, so when we met, he was all city. He had never seen a horse up close. The only wildlife he ever saw was the occasional squirrel. The poor guy had no idea how dating a “country mouse” like me would change his life. Fast forward fifteen years and here we are, working on our fixer upper farm out in the country, not far from where I grew up, but hours away from his childhood home. And while James misses certain aspects of the city, he has come to love life out here. Watching him experience things for the first time has served as a wonderful reminder to me of all the things I love but have taken for granted. Last weekend we were getting a few bales of hay from my mom’s farm, (not far from ours), when I mentioned grabbing some corn and squash at a farmer’s stand. This is just a small roadside stand; it’s not part of a huge farm, but one that’s more of a hobby these days. The owners have full-time jobs off the farm, but still find time to bale hay and grow some veggies. 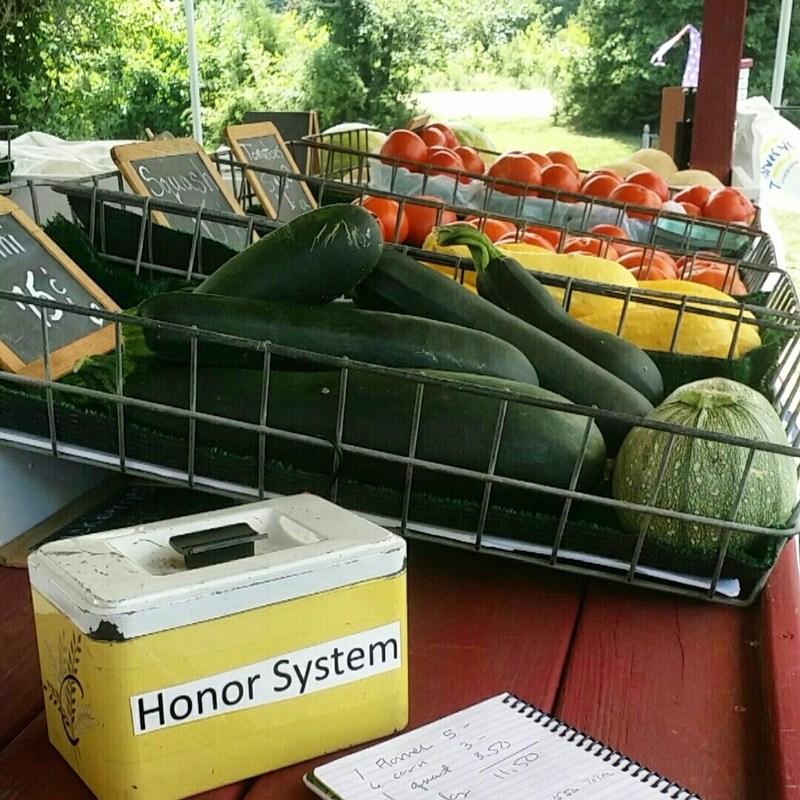 James was so enthralled by the “honor box” and remarked, “We could never have anything like this back home.” Then he looked up at me, smiled, and said, “This is another reason why I really like the country.” And my little heart just sang! I hadn’t given the honor box and the little stand a second thought – I had grown up living this kind of life. But to watch James’ love for the country life grow has been so amazing. 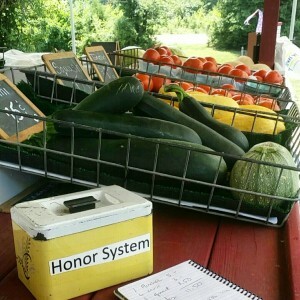 Thanks, little fruit stand and honor box, for reminding me how much I love it out here.